Update February 5th: More here. It isn’t just in London where the Brits have a problem with Islamic cultural ways. 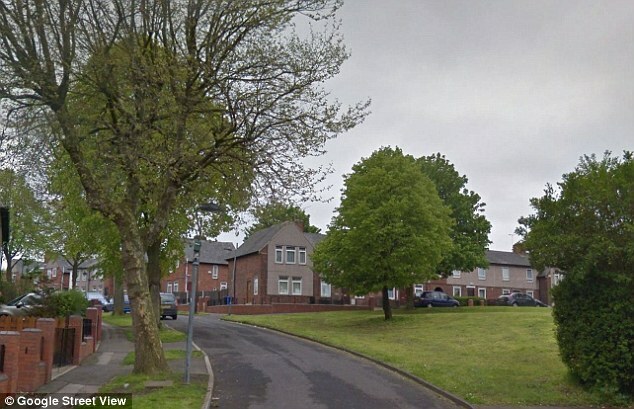 Thahi Harroba Manaa, 37, a refugee from Kuwait, is on trial in Sheffield, England, for the gruesome murder of his second wife, Sara Al Shourefi, 28, the mother of four of his children. During the 105-minute attack – that started over a disagreement about about a wooden shelf – Manaa inflicted 270 bodily injuries on Sara with a variety of weapons including two metal bars, a knife, and an electric drill which he used to puncture her brain through her eye socket. The murderer may have also tried to cut off her head: Sara’s neck had been cut across with the knife. Perhaps the knife was too small or its blade too dull to finish the beheading. Two of their children were in a separate area of the house – and must have heard their mother being tortured to death. Also present was the murderer’s mother. She did nothing to stop the attack, nor did she telephone for help during Sara’s terrible ordeal. During the nearly two-hour long torture of Sara, neighbors reported they heard angry shouting and the Koran playing at full blast. Evidently, Manaa fully expected his wife would die at his hands: an estimated 17 minutes into the attack, he called his travel agent to follow up on prior arrangements to travel to Mecca for the Hajj. He told the agent he wanted his papers made ready that same day. Then he resumed the deadly torture that lasted well over an additional hour. Once poor Sara suffered through her last and final breath, Manaa called the travel agent again to verify that his travel document was finished and waiting for him. He also telephoned his sister to arrange for childcare. Manaa then summoned his nephew by telephone and asked his help to put Sara’s body in a cupboard under the stairs. The nephew, in horror, fled the house and rang a friend who notified police. Does Four Wives a Refugee Make? What brought the murderer to Britain? Manaa, while he was still living in Kuwait, may have seen in Britain an answer to financial problems stemming from supporting several wives and a growing family. His first wife was one of Sara’s cousins. She failed to become pregnant, so he married Sara in 2004. When Sara did not become pregnant immediately, he married a third wife named Kholoud. Sara and Kholoud both became pregnant. Later, he married his fourth wife, Nadia. The stress of polygamous family life may have prompted him to take drastic action. By 2010, around the time Sara gave birth to her third child, Manaa moved to Britain and obtained permission to stay. Sara arrived in the U.K. the following year, and gave birth to her fourth child. [It is not clear what happened to wives Nadia and Kholoud, or the first wife, or the other offspring.] Presumably, the immigrant family became entitled to British taxpayer-paid benefits, thus relieving financial stress on the man with multiple wives. Britons must be wondering why their government allows people who practice harmful foreign customs, such as polygamy, to enter their country. The answer lies in the magic word “refugee”. Manaa came to Britain from Kuwait where he had been living as a “Bidun” – a stateless person. *** Not to be confused with nomadic Bedouin, the “Bidun” (also “Bidoon” or “Bidoun”) reside in Middle Eastern countries without the benefit of citizenship. “Bidun” means “without”; it is shorthand for “without citizenship”. Often Bidun families have lived in countries for generations, but because their illiterate ancestors failed to register when citizenship rolls were taken decades ago, these descendants are denied citizen status. Perhaps eventually DNA testing could establish lineage and rights to citizenship. Meanwhile, some of the “Bidun” take advantage of their unusual situation to apply for refugee status in Western countries where – like this Kuwaiti – they can cause trouble and mayhem. Manaa has pleaded guilty to manslaughter but denies murder. The spin of his defense is that he suffers from diminished mental capacity that drives his extreme jealousy, paranoia, and abusive behavior. While she was alive, Manaa did not allow Sara to have a telephone, leave the house on her own, or to learn English. Completely isolated in Britain, she was only permitted to contact her sister in the U.K. or her family living abroad, through her mother-in-law – the same woman who refused to summon help while she was being brutally murdered. Now Sheffield is gripped by the murder case. Will the mother of the murderer face charges? Can one blame certain religious practices? Why did no one do anything about the ongoing abuse in that house? Was the crime the result of the wrong kind of immigration? The trial continues. *** Editor’s note: The UN High Commissioner for Refugees has, in the last year, really been pushing this notion of “statelessness” and demanding that countries resettle those with that label. It will be one of the reasons for moving many Rohingya Muslims from Burma/Bangladesh around the world. Seeing as these ‘Bidun’ are historically merely victims of illiteracy rather than oppression, but have lived continuously in their countries, it’s clearly a moral right for them to have their situation amended in that country rather than foist them onto other civilised nations. Not only is there no valid reason for taking these ‘refugees’ into western nations but – having done so, one needs to acquaint the ‘refugees’ with the laws of the land – as in 1 wife only and you’re not allowed to harm her in any way! I hope charges have been lodged against the murderer’s mother too. Barb: Don’t agree with you. You are either very naïve or part of a resettlement ring. You can’t take out the Islamic upbringing from the men. End result is men don’t adapt and are unhappy thus generating violence towards their females. I was with one for 16 years. I know others also. Same story everywhere. The only refugees we should accept are Christians, Kurds (very tolerant people), Yazidis, Buddhists… nobody from an Islamic background. Muslims have some 50 countries to choose from where they will fit in. Yep, you can take the man out of Islam, but you can never take Islam out of the man. – Old Muslim saying. Barbara, I believe the mother was detained in March (after the murder) per a report of a woman and three men being placed under arrest who were released on bond. However, I could not discover whether anyone else was formally charged in connection with Sara’s murder. It is striking that the nephew himself did not go directly to the police, but sought help from a “friend”. That is not how people are supposed to act!